At St Ives Veterinary Surgery we understand that your dog, cat, rabbit, guinea pig, bird, ferret, fish or snake is not just a pet but one of the family. With this in mind, we are committed to treating your pet in a caring and compassionate environment. St Ives Veterinary Surgery provides modern, professional and affordable health care for your pets. We aim to make your pet feel at ease in our clinic with a caring and gentle approach to treatment and consultations. Our dedicated staff and leading veterinarians are all passionate about pets and avid animal lovers. Northside After Hours Emergency Vets has moved to a new location. 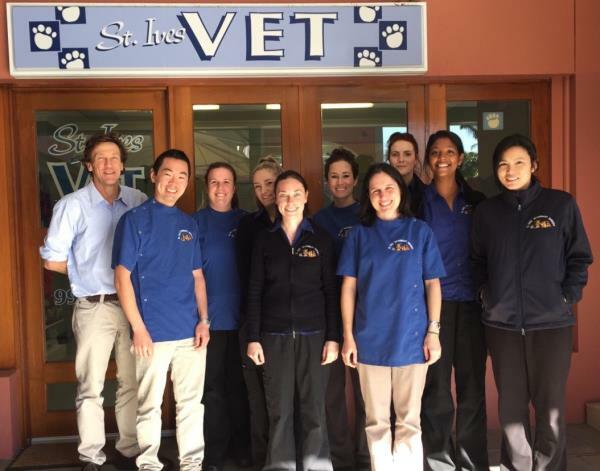 From the 18th December 2014, Northside After hours Emergency Vet will move to a brand new purpose built hospital located on Mona Vale Rd near the Forest Way intersection and Fresh Fruit Market. It will be the same experienced and dedicated emergency staff.